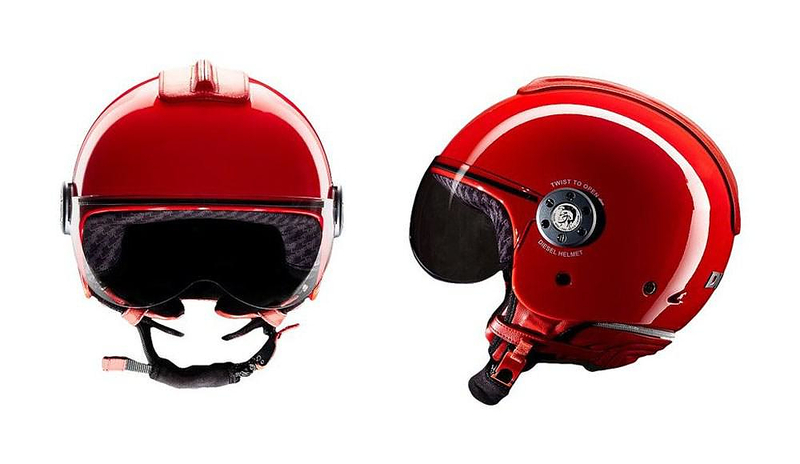 HomeBlogFashion & StyleDiesel Mowie open face motorcycle helmet. 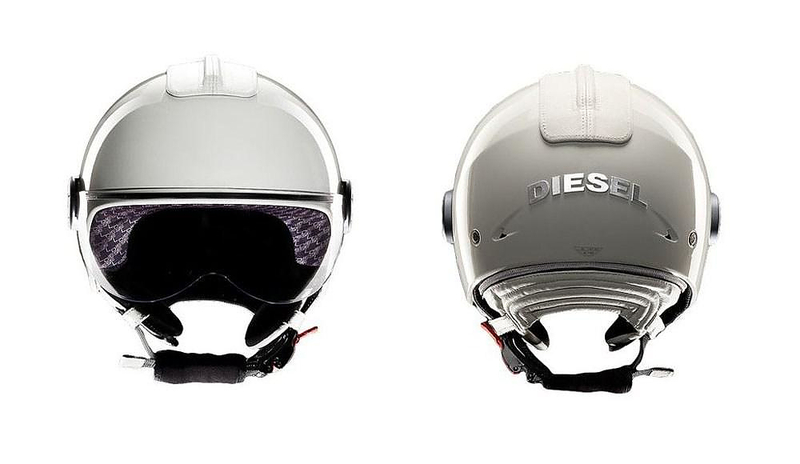 Diesel Mowie is a new edgy and high-tech looking open face Motorcycle Helmet byworld fashion-forward clothing company Diesel. Diesel does not cease to surprise us by introducing a growing number of exceptionally original designs in fields other than clothing (their main business). 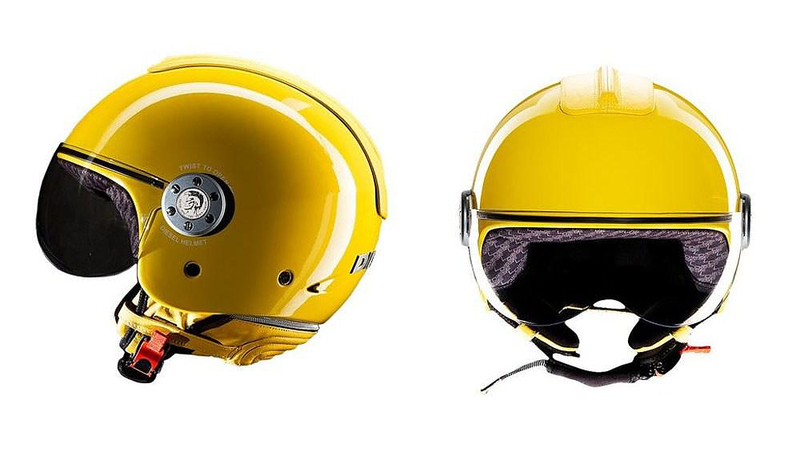 This time the Italian company’s talented design team headed by Creative Director Wilbert Dias created a stunning motorcycle helmet. 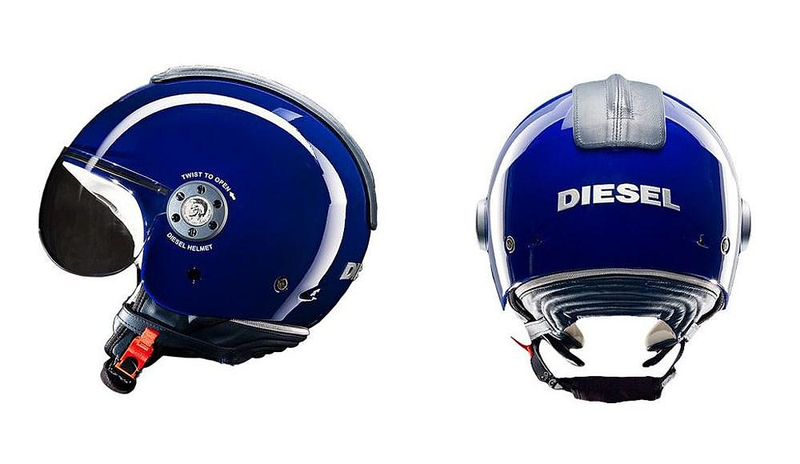 At first glance the Diesel Mowie clearly reminds us of pilot helmets, but with a “Mohawk” twist, as the helmet is adorned with the Iconic Diesel trademark mohawk in high density raised leather. 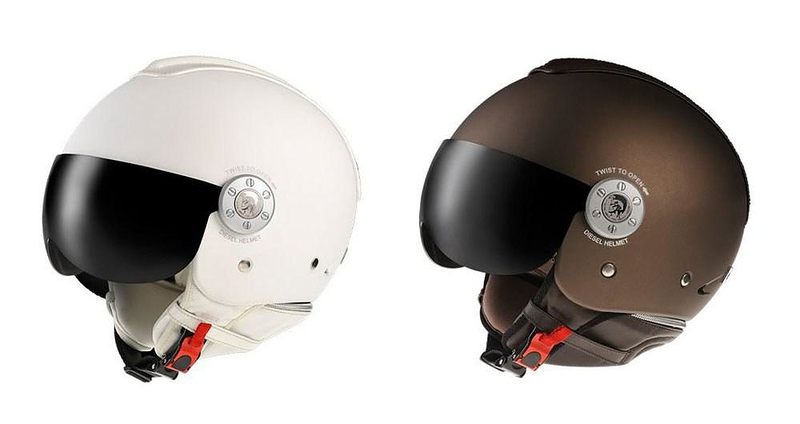 It is a technologically advanced helmet with many nice practical features…….. 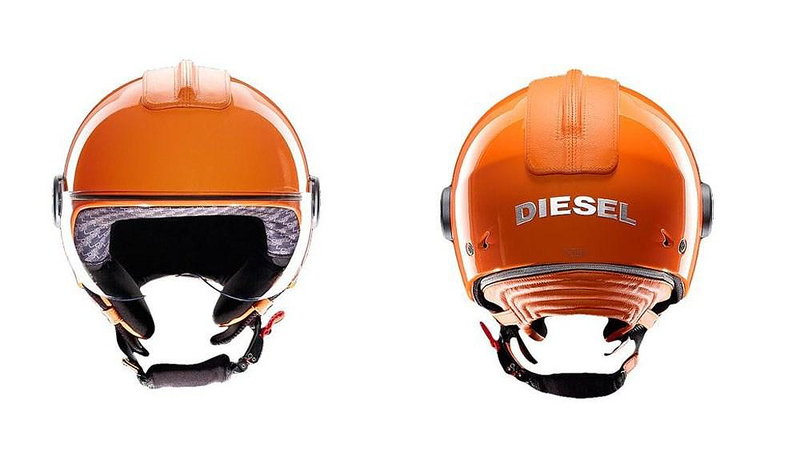 The Diesel Mowie helmet is equipped with an interchangeable anti-scratch, UV filtering visor, removable and washable “ultimate comfort” lining and a nice removable plush leather cold weather neck roll. The outer shell is made of a Highly Resistant Thermoplastic resin for maximum strength and durability. 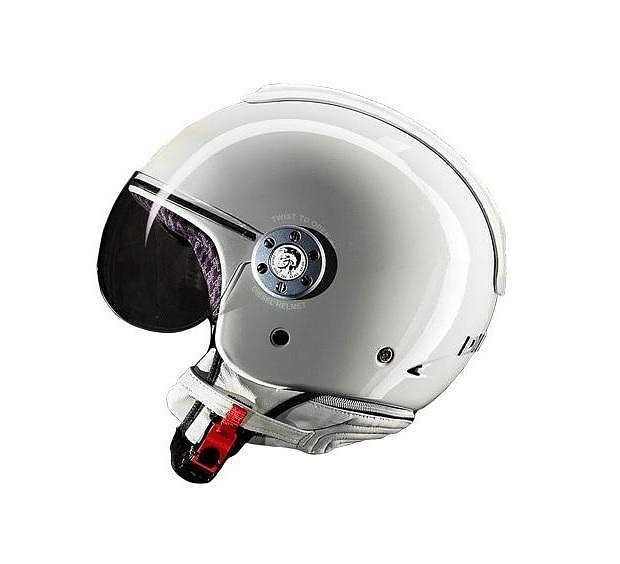 The attention to detail is evident in each and every aspect of the helmet, the nicely designed Diesel logos, the purple lining, the silver zipper on the back, all these fine details create a flawless distinctive style. 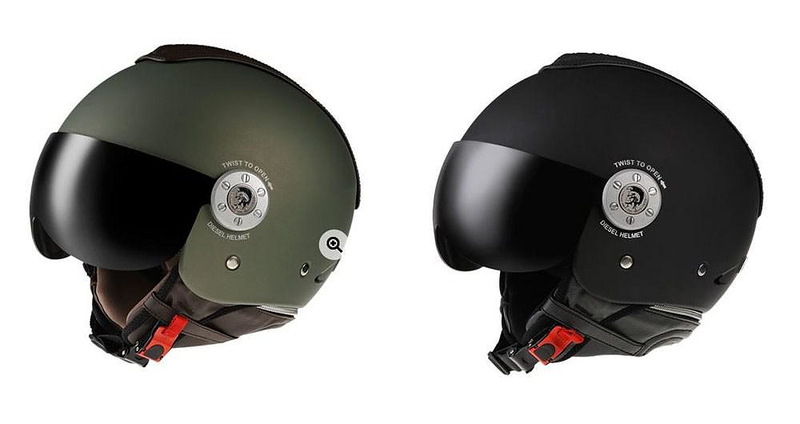 The Diesel Mowie open face helmet is available in a variety of colors and is produced in collaboration with specialized Italian helmet manufacturer AGV. I like the helment I am staying in dubi use kindly advise how can I buy the helemet Thanks. Sadly this article was written five years ago, back in 2010, we do not know if the helmet is still in production and where you can find it.